In 1974, I hadn’t even heard of squash, never mind coming into contact with anyone who’d actually played it. But I had heard of English rock band, Pink Floyd who, the previous year, had released what is still one of the most commercially successful rock albums of all time. 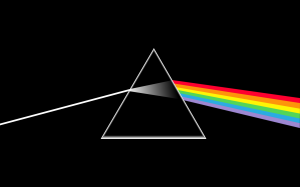 The group’s concept album The Dark Side of the Moon was eventually to spend seven years in the UK album chart whilst, in the US, it was to remain in the Billboard Top 100 chart for over fourteen years. Selling over 40 million copies worldwide, the album was to bring enormous wealth to the members of the group. Its monomaniacal leader, Roger Waters, and keyboard player Richard Wright would buy large English country houses whilst drummer Nick Mason would become a collector of expensive cars. So, in 1974, the group’s followers and its record company had high expectations that an equally successful follow-up album would soon appear. The group was even rumoured to have written material for the new album and be at work in the recording studio. But coming up with a worthy successor to The Dark Side of the Moon was proving exceptionally difficult. Relationships between the group’s members were strained and there was disagreement over the concept for their next album. What’s more, something else was about to distract some members of the group from turning up to the recording studio. Squash. 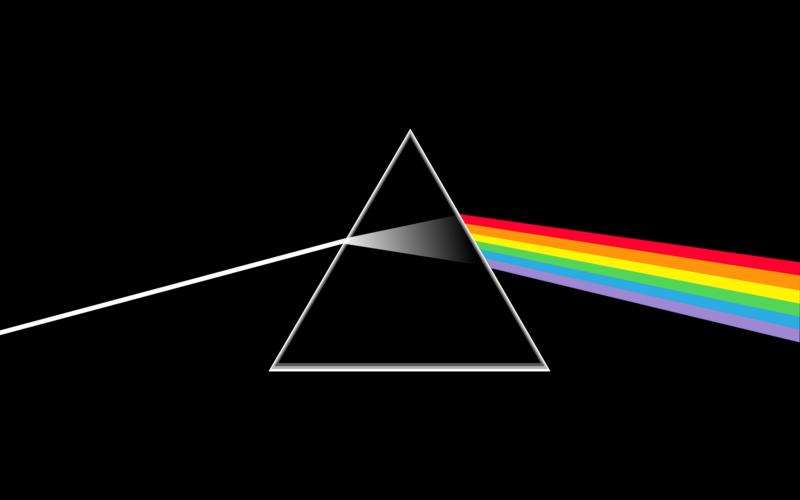 In the Winter of 1974, the group embarked on a tour of the UK playing a set including the entirety of The Dark Side of the Moon. 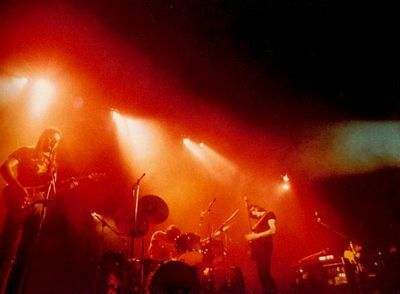 The first part of each concert featured new material including Shine On You Crazy Diamond, Roger Waters’ tribute to Syd Barrett, an ex-band member whose mental breakdown had forced him to leave several years before. This, together with two other new compositions, Raving and Drooling and You’ve Got to be Crazy, seemed to be a reasonable choice as the centrepiece for a new album. But, working from Studio Three at Abbey Road in London, the group were finding it difficult to devise any new material, especially as the success of The Dark Side of the Moon had left all four physically and emotionally drained. Richard Wright described the group’s early recording sessions as “falling within a difficult period” and Roger Waters as “torturous”. Guitarist David Gilmour was more interested in improving the band’s existing material and was becoming increasingly frustrated with Mason, whose failing marriage had brought on a general malaise and sense of apathy, both of which interfered with his drumming. And there were technical problems. On one occasion, sound engineer Brian Humphries inadvertently spoiled the backing tracks for Shine On, which Waters and Mason had spent many hours perfecting, with echo. The entire piece had to be re-recorded. Several weeks into recording, Waters came up with another idea. He proposed splitting Shine On You Crazy Diamond and sandwiching two new – and, as yet, unwritten – songs between its two sections. Gilmour disagreed, but was outvoted three to one, leading to yet more disharmony between the group’s members. But just as it seemed that the camaraderie which had previously held the group’s members together was about to vanish, two of them found a new way of sharing their frustrations, re-energising themselves and, unknowingly, bringing the group back together. 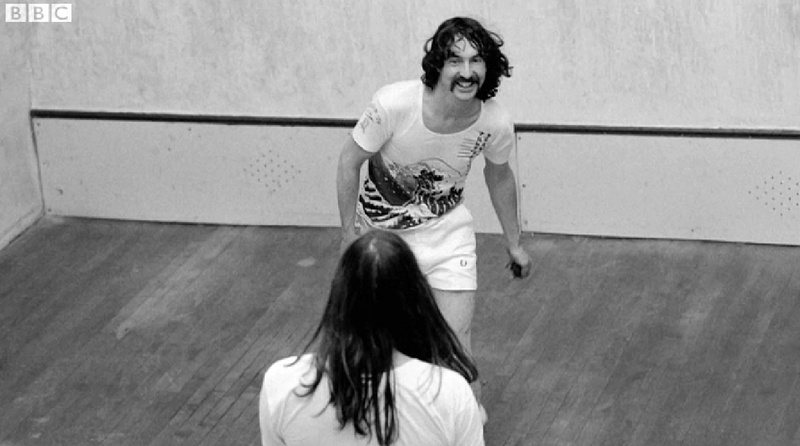 David Gilmour and Nick Mason became squash buddies spending so much time on court that their appearances in the Abbey Road recording studio became less frequent. Nearly forty years later, Brian Humphries was to recall how frustrating he found it to get them to agree to recording schedules which, by necessity, would oblige them to vacate the squash courts for the more mundane task of crafting a new Pink Floyd album – now provisionally entitled Wish You Were Here. The production of Wish You Were Here progressed in fits and starts, with Syd Barrett paying an impromptu visit to the studio during the recording of Shine On You Crazy Diamond. The album was eventually released in September 1975 with 250,000 advanced sales in the UK and 900,000 in the US. Despite the many problems encountered during its production, the album was to become the firm favourite of both Richard Wright and David Gilmour. But even in 2011, Roger Waters, interviewed for a documentary about its making, still appeared to be moping about its flaws. Gilmour and Mason sounded like they’d rather be playing squash. On December 9th, 1974, I attended one of the two concerts played by Pink Floyd at the Palace Theatre in Manchester. At the time, I’d never bought a Pink Floyd album although I’d heard plenty of their music. I hadn’t even sought out a ticket in advance but was offered one at short notice. So I went. Because there was something about the concert that had a big effect on me, something that stayed with me, something I couldn’t quite put my finger on. It wasn’t the group’s performance, the music, the light show complete with landing lights and glitter-ball, the dry ice – although I remember all of those things. It wasn’t even the concert programme which was a memorable pastiche of British ‘Boy’s Own’ comics. It was something else. Something which took me nearly forty years to understand. Somehow, at that concert I wasn’t just listening to a rock band. I was watching squash buddies…doing their day job. Thanks to Wikipedia for their entries on Pink Floyd and Wish You Were Here. Thanks also to The Arts Desk for its review of the BBC4 documentary on the making of Wish You Were Here. Thanks to the Pink Floyd fan website A Fleeting Glimpse and to Magforum for its review of the Pink Floyd 1974 Tour Programme. Finally, thanks to whoever recorded Pink Floyd’s December 9th, 1974 concert at Manchester’s Palace Theatre and, what’s more, uploaded it to YouTube. If you listen very carefully, you can hear me shouting in the background!